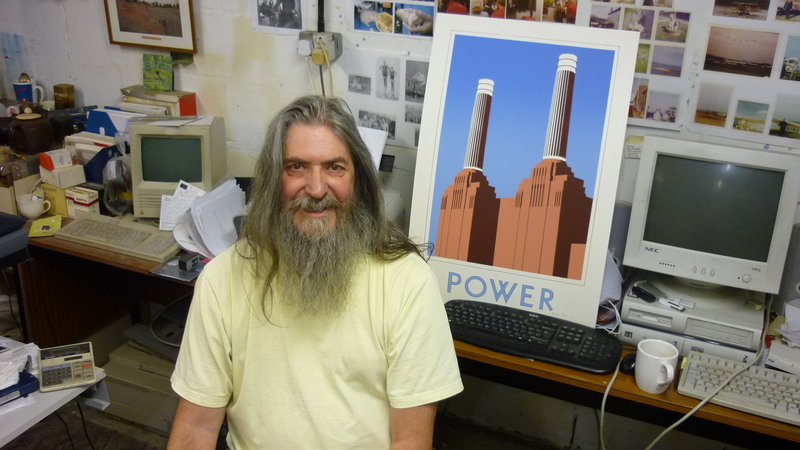 Battersea Power Station is standing on the edge of a cliff, suggests activist Brian Barnes. A symbol of electricity industry, this building was listed as part of the National Heritage for its special architectural and historic interest. This states that any alteration of the building must have the governments consent. The station came on stream in 1933 and remained active untill 1983 when the factory closed down. Since then, the building has passed from one owner´s hand to another with the same result: it still stands on the River Thames as a derelict ship. According to English Heritage, the listed building is in a very bad condition. In 2004 was added to the World Monument Fund´s list of 100 Most Endangered Sites. 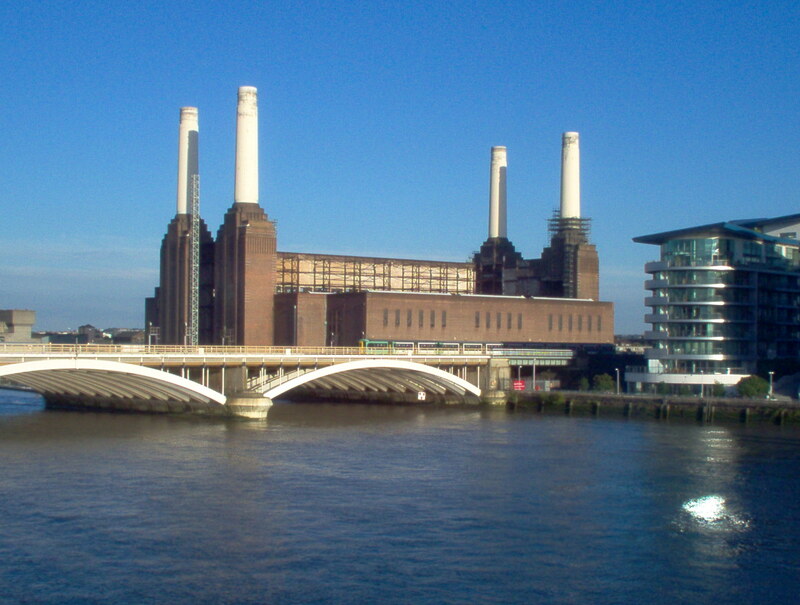 This month the Wandsworth Borough Council will decide on the application made by the current owners (Real Estates Oportunities Plc) to turn Battersea Power Station into shops, offices and appartments. Where is my London interviewed Brian Barnes, award-winner artist and activist appointed in 2005 a Member of the Order of the British Empire for his services to the community in Battersea. Mr Barnes, spokeman of the Battersea Power Station Community Group (BPSCG) thinks that the Council will give permision for everything the developers want to do, as they did in the past. He reckons that the aim behind this planning permision is just to increase the value of the land because the current owners “have no cash to build anything”. Mr Barnes says the company is in 1 billion £ debt to The Bank of Ireland so that the power station is really owned by this bank. According to Mr Barnes, the fact that Battersea Power Station is located in the river front side represents an obstacle for developers. “They want to knock down the construction” he says. However, the building is listed and “they have to be very imaginative about destroying parts of it”. As a representative of the Battersea Power Station Community Group, Mr Barnes suggests alternatives uses for the building. He thinks that the station could be a fantastic museum such as the Tate Modern or a museum of industrial heritage. 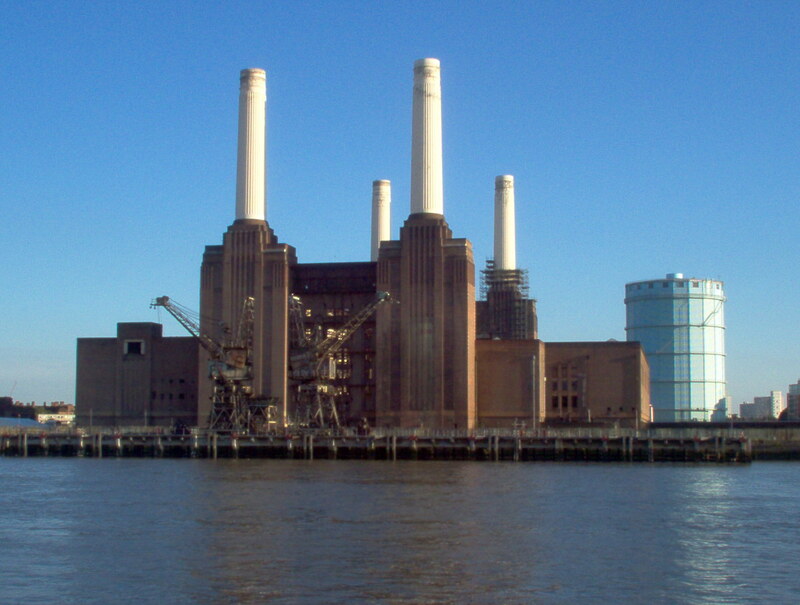 Mr Barnes considers that Battersea Power Station is one of the top three landmarks of London, even above the Buckingham Palace and should be saved as a symbol of the city. A very interesting and revealing account of the history and obstacles facing the important Battersea Power Station.It will be interesting to know what will be the future of that important and historical structure. I have just listened to the interview- Brian has put the case so well. It will be swept through by Wandsworth council next Wednesday- they should be ashamed. They have supported a host of property developers with dubious schemes for this important landmark from day one. Who says money doesn’t talk?